T.I. 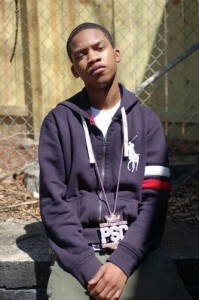 Is Keeping It All In The Family–Little Brother Bryyce Is The Newest Addition To The Grand Hustle Family! The Harris family is continuing to show us just how grand their family hustle really is. With T.I. and Tiny’s new reality show premiering to rave reviews (click here to watch the first episode) to T.I.’s son Domani following in the foot steps of his father (click here to see Domani rap) the Harris family continues to win. And now we have Tip’s little brother, Bryyce, showing off his rap skills in his new video for his song ‘Win, Lose Or Draw’. Check out the video inside.The video was directed by Deno Brown and the song features a sample from one of his big brothers songs, ‘Still Ain’t Forgave Myself’, from T.I.’s debut album ‘I’m Serious’. Check the video out below. Make sure you follow Bryyce on twitter @gfmbryce. Are you feeling the video? Previous Terrance Howard Denys Threatening To Kill His Wife! Next Proud Father Nick Cannon Says His Twins Have Changed His Life! – hay how you doinn i heard your song Win, Lose or Draw and i really like it! <3.